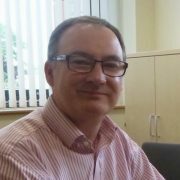 Rob is Director of Groundwater Science at the British Geological Survey (BGS) and responsible for an international programme of research on groundwater and associated environmental research addressing groundwater protection and management, and impacts of environmental change. He is also a UK Government representative on the European Commission’s WFD Working Group for Groundwater (WG C) and principal author of several WFD CIS Technical Guidance documents. Rob is also an advisor to UK Government and the Government Chief Scientist as a member of the Science Advisory Group for Emergencies (SAGE) most recently in relation to groundwater flooding and environmental impacts of shale gas.